Last week I said that before jumping in and creating an affiliate program, advertisers need to make some important decisions that will be difficult to reverse later, and I discussed the first two decisions: determining the affiliate program's objective and figuring out the offer. We'll now move on to the next three. 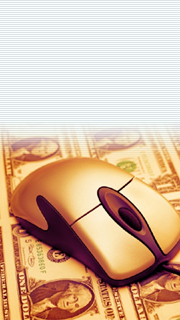 The affiliate program involves many individual elements, each of which could require automated systems. Most programs evolve to encompass thousands of participating sites. Handling the security, accounting, marketing, technology, or even just the check-writing element could warrant independent software and a staff of two. While it might make sense to just handle it in-house when the program is small, it becomes practically impossible to hand an existing program over to one of the outsourced companies without service interruptions. That sort of problem can scare away your affiliates. These services generally charge a start-up fee in the low thousands. They then take a percentage of the advertiser's sales through the program -- most often 2 or 3 percent. Each of the services is different from the others in some minor and, sometimes, major ways. It's well worth checking out the Web sites of Commission Junction, ClickTrade, LinkShare, clickXchange, Be Free, and Performics (formerly Dynamic Trade). The data that advertisers receive back from affiliate programs can be piled up into a hierarchy of more and more useful information. At the bottom is the number of affiliates in the program, hopefully a growing figure. But the number of affiliates doesn't put food on the table. The number of active affiliates -- those sending viewers over to the advertiser's site -- is a better figure by which to measure the growth of the program. But this figure, too, doesn't represent the success of the effort. A smaller list of affiliates, those that send over viewers who then follow through with the desired act -- perhaps purchasing something -- is the list that can signify success. These "successful" affiliates are the ones to watch; make sure they receive all the care and feeding you can offer. Inevitably, affiliate marketers find that a very small minority of sites produces the vast majority of useful transactions. Discerning what makes these sites different from the others will be an important element to the improvement of the program. It might be that those sites enjoy a very specific type of audience. Very often it's the way the site itself implements an affiliate program that makes all the difference. It might be a matter of banner placement or frequent creative exchange. If an affiliate marketer can determine what makes that site a success, there's a very good chance the marketer can spread that success to other sites. If the program is not adding new sites or, at least, new successful sites, the affiliate marketers need to revisit the program's offer and see what the competition might be doing to steal their market. Sometimes a slowdown in new affiliates is simply a matter of having done less program promotion. The first major step was taken when the program manager chose an outsourcing partner. Programs can get a big head start, depending on the size and quality of that company's affiliate network. The second step involves listing the program on many of the affiliate-program directories on the Web. As many as 50 companies have lists of thousands of different affiliate programs most sites can join. A great number of affiliates come through these directories. There is even a special site -- Affiliate Announce -- that manages to list an affiliate program in many of the other directories. Third, the advertiser must market the program as though it were a product itself. The program should almost certainly be referenced on the advertiser's home page. An affiliate section should be posted on the site to give all the necessary information, answers to anticipated questions, and automated sign-up applications. Making it easier to sign up and participate will multiply the number of affiliates attracted to a program. More active efforts should be made within obvious product categories. If an advertiser sells doghouses, the affiliate program manager should directly contact the obvious pet-related Web sites. The marketing efforts can be geared around the original objectives. If the advertiser hoped to sell 10,000 products per month through its affiliate program, it can figure out the number of required affiliates by looking at the average number of visitors who come from the affiliate network and their transaction rates. If the average affiliate sends 100 people to the advertiser's site in a month, and the average transaction rate is 1 percent, then the advertiser will need 10,000 affiliates to make its numbers.